This paper suggests how an appropriately designed and architected process definition language can be an effective aid to the rapid generation of simulations, which are, in turn, capable of providing important insights. The paper describes how the features of the Little-JIL process definition language helped in the rapid generation of simulations that shed important new light on the effectiveness of various collusion strategies in influencing the outcomes of various auction approaches. The paper describes how Little-JIL’s approach to modular reuse and its separation of process concerns both turn out to be of particular value in supporting rapid prototyping. The simulation results obtained are themselves interesting, as the paper also suggests that the auction idiom is highly relevant to resource allocation in software development. 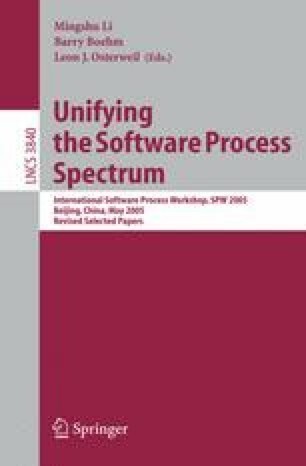 Thus, the insights gained into the efficacy of various collusion approaches have particular relevance to software process research.